Good movement over Cape Greco from 8am to 12pm this morning. Flocks totaling 54 Purple Heron and 16 Grey Heron were heading south and there were unseen European Bee-eaters flying over as well as plenty of Barn Swallow, a few Sand Martin and a flock of around 40 Red-rumped Swallow. Four European Rollers were in the area. The stars though were the raptors. It was interesting to see that the 230+ European Honey Buzzard that passed over or were seen gaining height in the distance approached from the north, north east or east and the Harriers from the north or north west. There were forty Western Marsh Harrier including ten males and a male and two ringtail Montagu’s Harriers throughout the morning. One of the early birds was an Osprey and a European Sparrowhawk over the view point as I arrived. 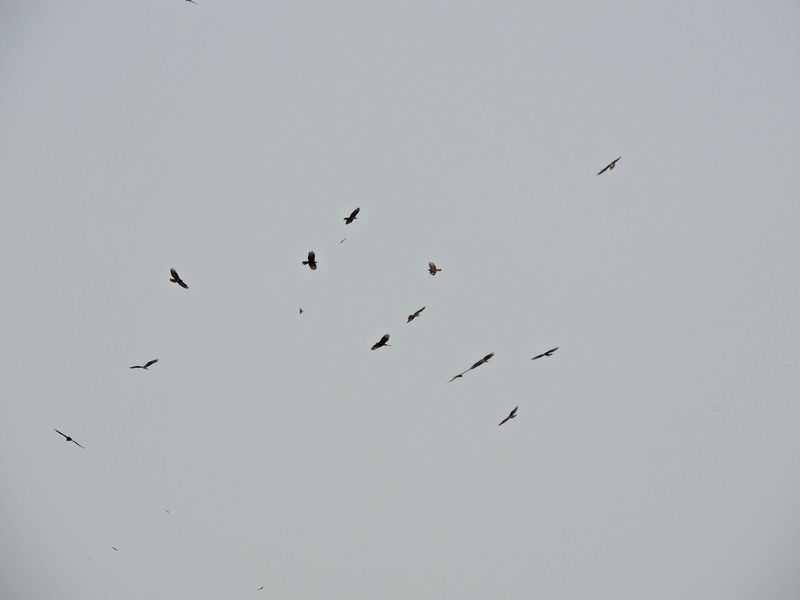 I counted at least eight Black Kite – mainly in with the Honey Buzzard. On two occasions kettles of Honey Buzzard rose up over the ridge to the east of the observation point and over my head. Great views. 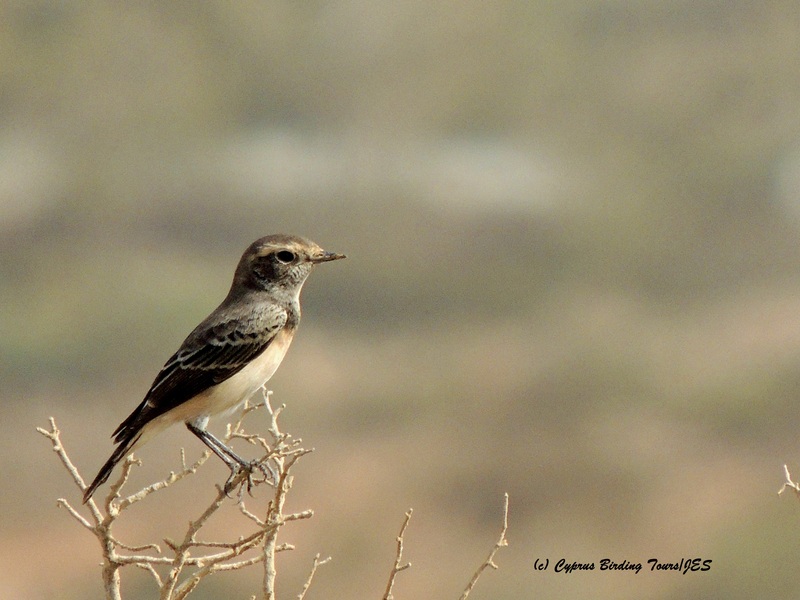 Not many passerines around – two Cyprus Wheatear and a juvenile Red-backed Shrike. Categories: Birding | Tags: Black Kite, Cape Greco, Cyprus Birding, Cyprus birds, Cyprus birdwatching, Cyprus Wheatear, European Bee-eater, European Honey Buzzard, European Roller, European Sparrowhawk, Montagu's Harrier, Osprey, Western Marsh Harrier | Permalink.